When using the Royal Mail to communicate with a non-payer or defendant if you choose to use Recorded Signed ForTM you should consider sending a duplicate copy with Certificate of Posting as the recipient may not be prepared to accept receipt. The duplicate copy will be posted with the standard mail. When using the Royal Mail to communicate with the CCMCC we recommend you use either the free Certificate of Posting or the Special DeliveryTM Next Day. We recommend you use Special DeliveryTM Next Day for packets sent to the CCMCC as this is a tracked service. 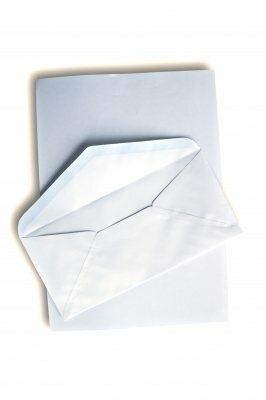 If you haven't put your address on the outside the envelope the Royal Mail will send it to the National Returned Letter Centre. They'll open the mail and return it to you if your name and address is inside. They will attach a sticker explaining why they couldn't deliver. This process will take longer than a week. We always recommend you put your postal address, but not your name, on the back of all posted communications to speed up the process of return. What if the defendant refuses to take a signed for delivery from you? We always recommend that you send a duplicate copy through the standard mail with Certificate of Posting so it is posted at the address. The alternative is to use a Process Server. If the defendant is deliberately avoiding taking delivery we suggest you very respectfully request the court adds the cost of this service to your claim.